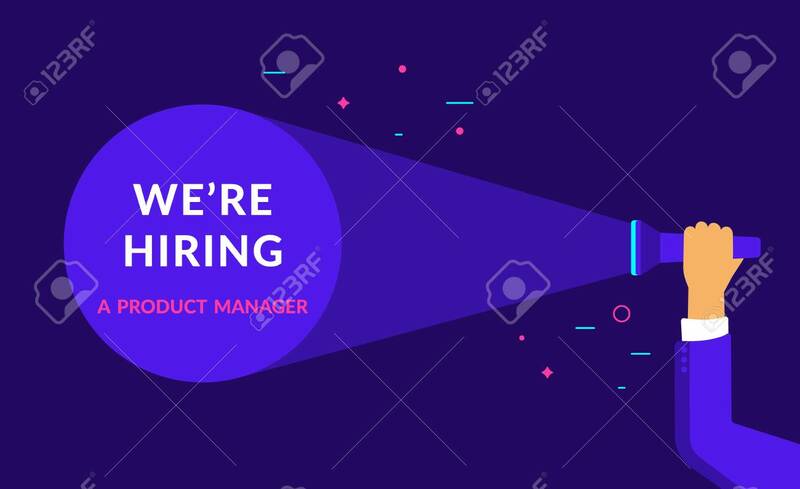 We Are Hiring A Product Manager Flat Vector Neon Illustration For Ui Ux Web And Mobile Design With Text Copy Space. Employment Recruitment Business Concept For Hr Announcement And Business Hire Lizenzfrei Nutzbare Vektorgrafiken, Clip Arts, Illustrationen. Image 115007238.